As you’ve likely read, I’m a fairly recent Mac convert. 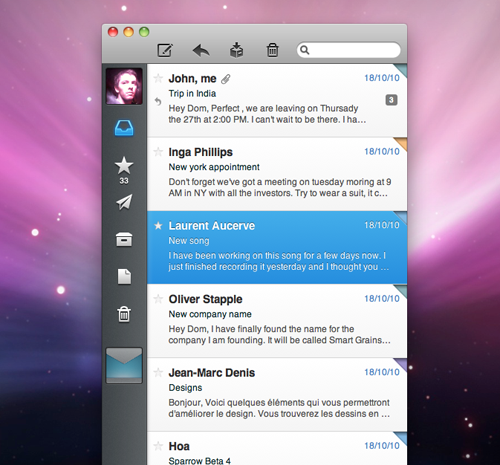 After having not used a dekstop mail client for a number of years, it’s been an easy transition in that respect. 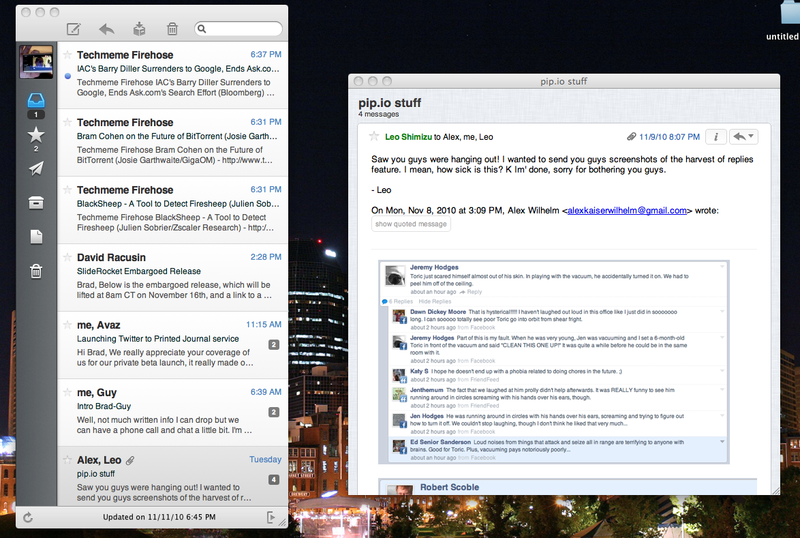 However, I keep hearing about great mail clients and Sparrow is certainly one that’s been on my radar. The latest beta of Sparrow, beta 5, adds some pretty serious function to the already-robust app. 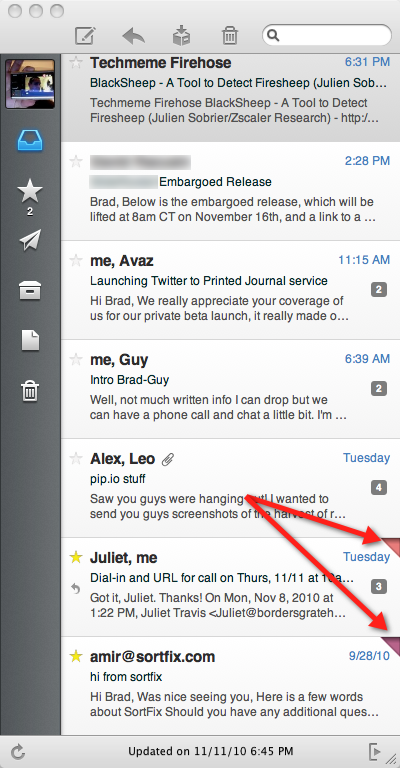 While it doesn’t break away from the minimalist look of Sparrow on the hole, it does add features that I’d sorely miss from the web-based interface of Gmail. 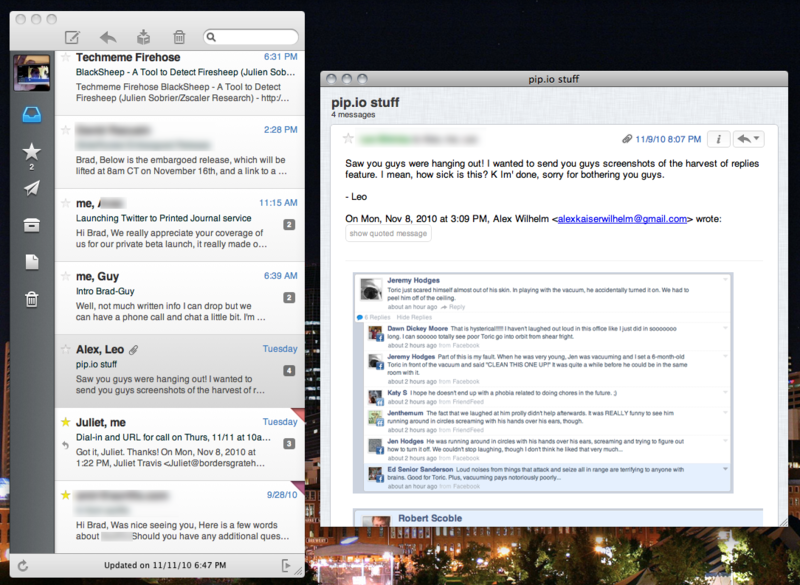 While I have to admit to not having used Sparrow until now, I’ll applaud its use of keyboard shortcuts. Cmd+Enter for send, Esc to close out a window, space for opening and closing messages and a Cmd+click for tossing a link open in the background all seem to make perfect sense. There are, apparently, some improvements to performance and scroll speed, as well as a new toolbar, sounds and coloring as well. However, as I said, I’m not familiar with the previous versions, so I can’t really tell you if they’re an improvement other than to say that everything looks really slick. 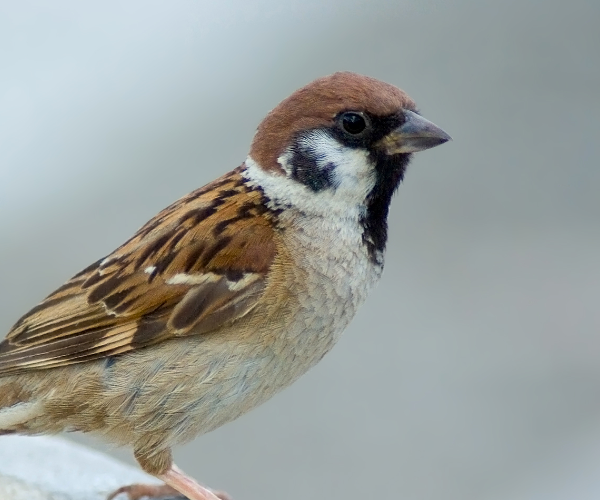 We’re only 1 beta release away from version 1.0 of Sparrow, and that release should be coming soon. According to the Sparrow Blog, beta 6 will be the final and then we’ll get the full release. 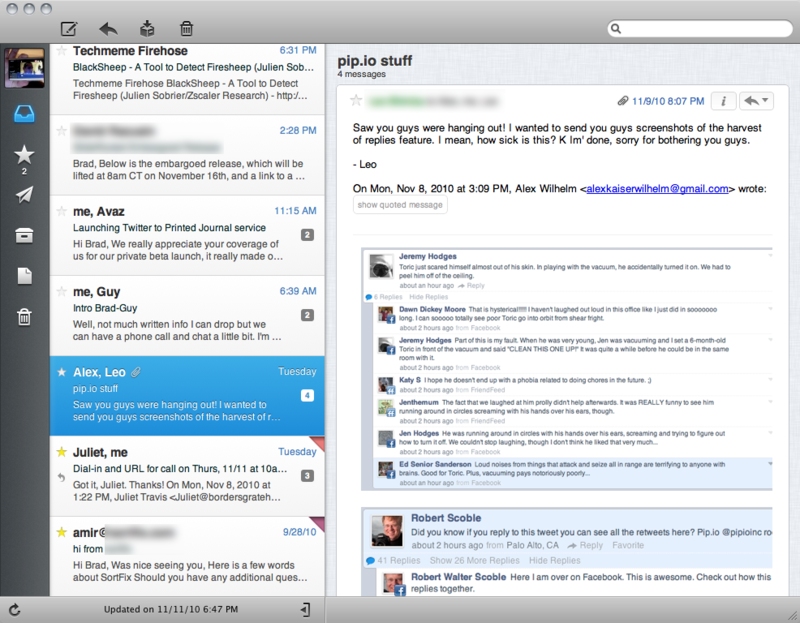 If you’ve not been using a desktop client for email, and you have the need, then I can certainly recommend Sparrow. 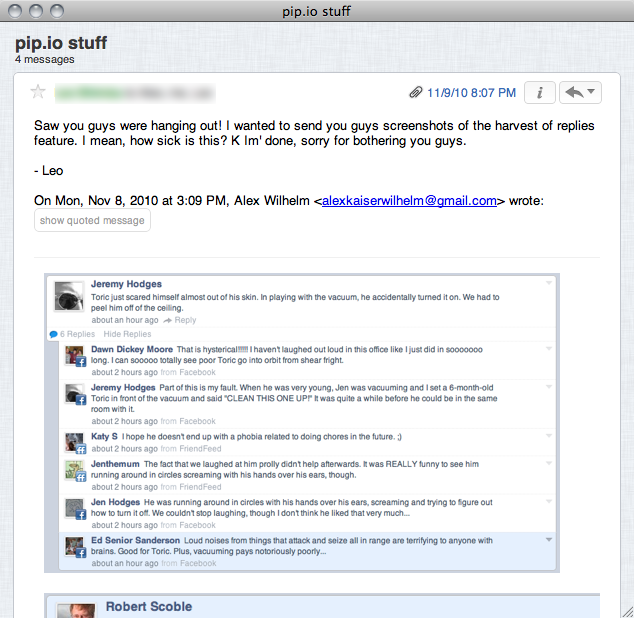 Its flawless Gmail integration is great, even with Google Apps Gmail, and I’m pretty certain that I’ve found my next mail application.